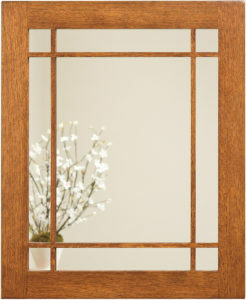 Add a degree of charm and elegance to your bathroom with bathroom accessories from Brandenberry. 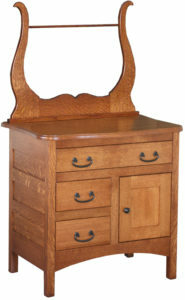 Our Amish builders handcraft each piece from solid hardwood. So they’re incredibly sturdy, durable and long-lasting. Characteristics bargain accessories can’t claim. 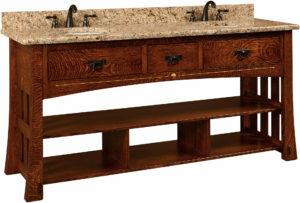 There’s no better way to bring an upscale look, feel and performance to your bathroom than with bathroom accessories from Brandenberry Amish Furniture. 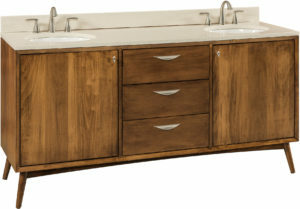 Take the bathroom vanities/bathroom sinks shown. 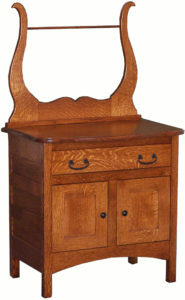 They’re made from solid hardwood with different arrangements of drawers, cupboards and open shelves. So they fulfill your needs for bathroom storage. 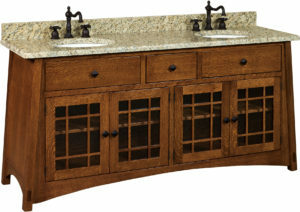 Plus the single or double bathroom sinks/lavatories are ready for your choice of countertops and faucets. Also, we have a variety of styles, from classic to modern. So you’re sure to find the perfect match for your other furniture.